The A-Men have returned to challenge your deductive skills in another set of devilishly difficult combat scenarios. The rouge robot army that you accidentally unleashed in the original title is still at large, and it’s up to you and your squad of specialists to eradicate them – or perhaps just skirt around them as you get to the chopper. 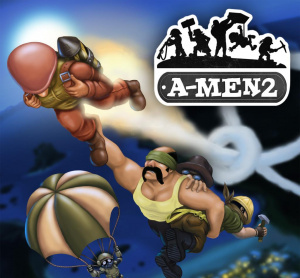 This sequel doesn’t make the already quirky narrative any clearer, but fans of the launch title may be pleased to hear that A-Men 2 adopts the same gameplay formula as its predecessor. Newcomers, however, should beware, because is also really, really hard. The title sees you take control of five soldiers, each with specific roles and skills that they can bring onto the battlefield. Your goal is to reach the end of each level where a helicopter will pick you up, having slaughtered a set number of enemies along the way. By using environmental traps, you must shoot, crush, and electrocute these foes across a wide variety of locations, including lush jungles, mountainous regions, urban environments, and icy, winter wonderlands. It’s almost like a fusion of Lemmings and Commandos, for those of you old enough to remember those brands. Some enemies even have a Lemmings-esque attitude to danger, and will walk blindly into it – once you’ve created the right opportunity, of course. Meanwhile, others have a little more nous and demand more cunning traps in order to kill. 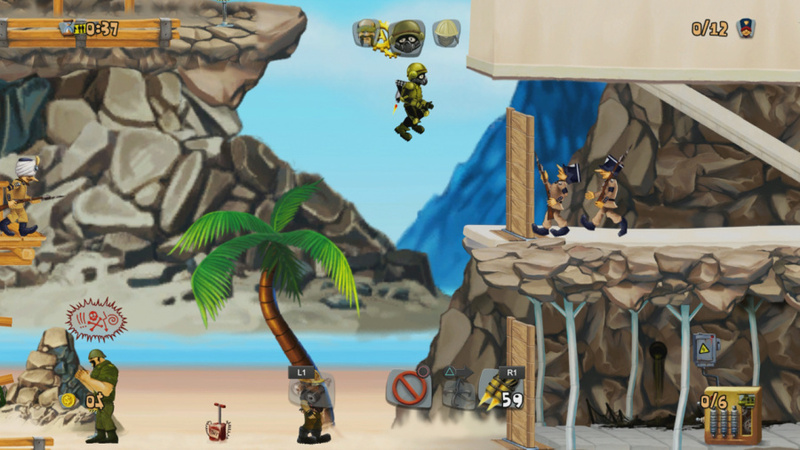 All of this planning and operating is performed from a side-scrolling perspective, utilising the skills of your five aforementioned operatives: a basic soldier who can shoot; an engineer who can build climbable structures; a spy who can evade detection through disguise; a body builder who can move crates and use them as weapons; and an elite trooper who can employ parachutes and a grappling hook. 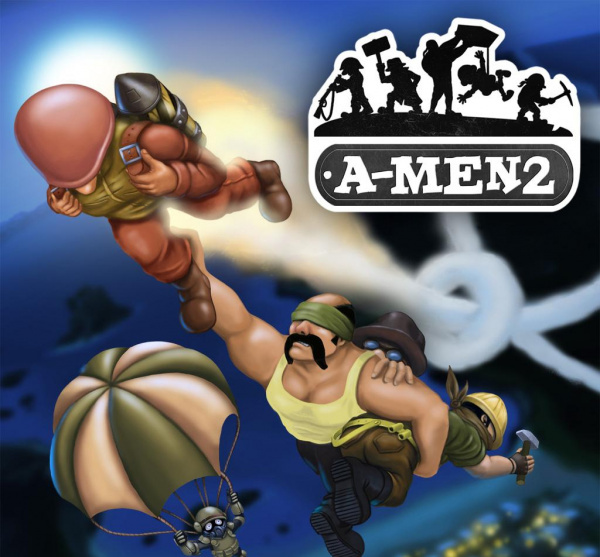 With your squad of military personnel, you may expect an action oriented experience – but A-Men 2 is instead a cerebral puzzle game of lofty difficulty. It further tries to disguise its deviousness with a light, bright, and comical cartoon aesthetic, a bubbly military-themed soundtrack, and humorous – or at least attempts to that affect – one-liners and wall-breaking puns. Don’t be fooled by it. 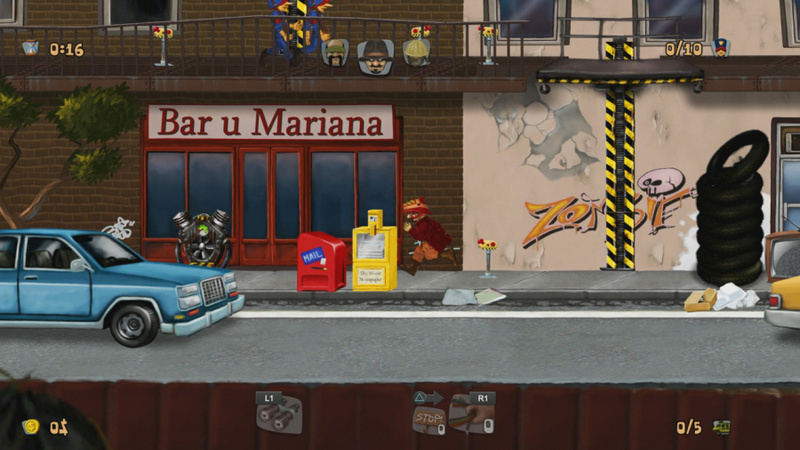 From the very first level, this game is out to get you, and you’ll find yourself failing missions over and over. Timing is crucial to setting up and springing traps, while equipment is sparse and requires on-site procurement. Meanwhile, enemies will mercilessly hunt you down if they get even a slight glimpse of you. As a result, the game often strays too far over the line – and ends up being frustrating as a result. Of course, this difficulty means that on the occasions where everything goes to plan, it’s all incredibly satisfying. The title makes you work for your victories, but it certainly makes them all the sweeter. 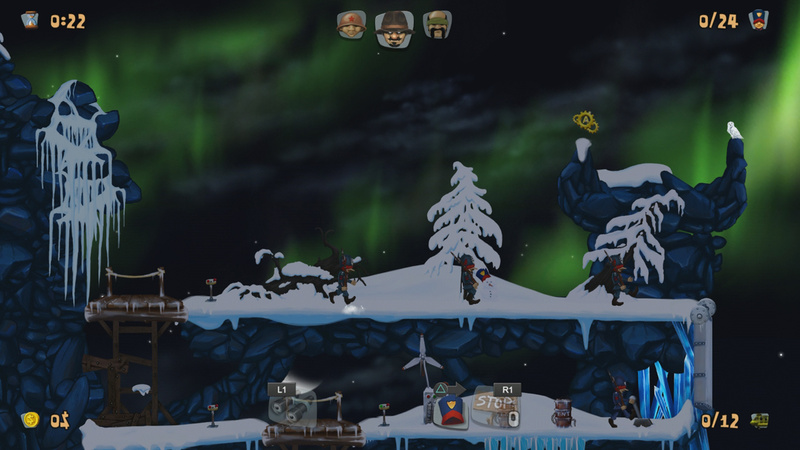 To initiate a successful mission, you’ll need to scan the scenario with analogue sticks or the touchscreen, panning around the level, making mental notes of where enemies are stationed and patrolling, where the equipment lies, and what environmental hazards and obstacles you need to overcome or utilise. You’ll also need to see what equipment your heroes are carrying, and plan your action meticulously before executing your moves in real-time. As already alluded, equipment is limited; you’ll often start with only one bullet in your basic soldier’s rifle, for example, and will have to acquire more as you move through the level. There’s a lot to keep track of, and your actions can very quickly change the layout of the level and the patrol routes of your adversaries, so you’ll need to be constantly analysing the environment and revising your plans to accommodate the unexpected challenges that occur. When it all works in your favour, it’s fantastic fun. However, the game is so incredibly difficult at times that the joy that you receive from the victory doesn’t always feel like it’s worth the pain. You can buy extra starting equipment with in-game currency to aid you in the particularly bothersome missions, but completing the stages required to acquire the money in the first place is incredibly tough. You’ll quickly find that the same obstacles that harm enemies can often hamper your progress, too, so jumping the gun and making decisions on the fly seldom works as well as it should. The control panels that trigger many of the hazards conveniently show you what they trigger, and elements such as new environmental traps are introduced gradually throughout the campaign, so the title is never not intuitive – but if you lose one of your squad, it’s straight back to the beginning of the level. For a title that’s all about trial-and-error, and figuring out the grander puzzle of many moving parts, it’s made all the more tedious by the repeated actions that you’re forced to do. You’ll find yourself carrying out the same tasks over and over again while you work to get past a trickier section. Granted some levels have checkpoints, and you can save along the way, but you’ll be limited to a set number of recordings and your score will take a knock if you use them. The risk reward dynamic is undoubtedly a fun addition if you’re eager to climb the leaderboards, but it feels like the punishment is far too severe at times. 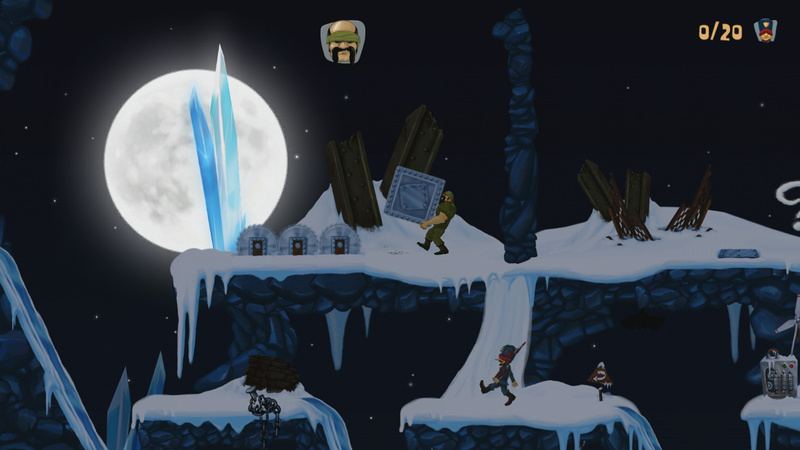 Multiple strategies can be used to overcome levels, and bonus objectives to kill all of the enemies may tempt the brave, but the game is so tough that it makes exploration difficult to justify. You’ll often find yourself drawn to the most obvious routes and solutions because it’s more manageable than restarting a level. It’s worsened by the fact that the platforming – which comprises a large chunk of the experience – can be very unforgiving, leaving you often plummeting to your death when you accidentally mistime a jump. There’s even a chance that you’ll slide off objects if you stand too close to a ledge. There is a satisfaction to be found in A-Men 2’s tense tactical puzzles, but the relentless difficulty will destroy your will to replay. This is a game designed for masochists, and while there will be a specific demographic that will undoubtedly enjoy the stiff challenge, mere mortals will just not have the stomach for it. Hey guys, thanks for the review! The game is really difficult but this was our goal. Just incase anyone was up for a super challenging experience we are doing a bundle on PSN from tomorrow for A-Men 1 & 2. If anyone has any questions we are here and listening!